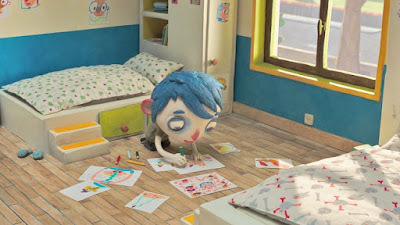 “My Life as a Zucchini” is the most gorgeous film of the year! 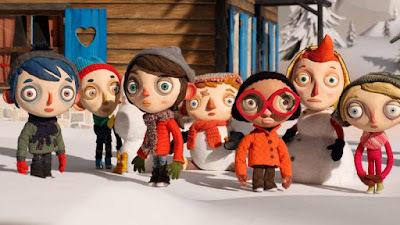 The stop-motion animation is heartfelt, perfectly crafted, colorful, and yet a sweet and tender, coming-of-age drama for all ages. This animated story recounts the early life an introverted nine-year-old orphan named Icarus. His mother gave him the nickname of Zucchini, and he keeps it to honor her memory. Zucchini is an excellent storyteller. He communicates his experiences through drawings. His big eyes are two transparent windows that reflect the purity of his soul, emotions and real feelings. At one point, Zucchini has to assimilate the passing of his mother by using the help of Raymond, the supportive cop who tells him that his mother is already in heaven and she is O.K. There is no need for guilty feelings. 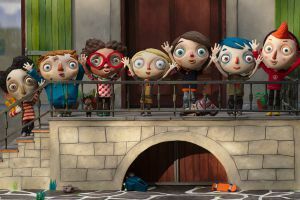 “My Life as a Zucchini” is adapted to the screen from Gilles Paris’ Autobiography. Zucchini and his friends have one thing in common: all of them lost their parents in particular circumstances. The director thinks that no matter how dark the story is, there is always one particular approach. As the Brothers Grimm did in Germany, their dark stories were told in their exciting way. The Autobiography of Zucchini is like a dark novel; it departs from the depiction of a kid who kills his mother with a shotgun. Those tragic stories happen almost every day in real life. Screenwriter Celine Sciamma (“Tomboy”) was faithful to the book. She knew that the story had to be up for kids of all ages, so she wrote a less lousy adaptation of the original writer’s experience. The script of this fantastic movie is laid down on the page elegantly and with much subtlety. In the foster home, the children are all from different backgrounds and represent the most needed inclusion and diversity in cinema today. Simone is the red-headed lousy boy is the one who knows everybody's story. Ahmed is the soul of the party, and jujube is the chubby, gluttonous hypochondriac kid; Alice is this the blonde who hides under her hair, the gentle African girl is Beatrice, and Camille is everybody’s sweetheart, a proactive, confident lovable girl. The ten-inches-tall puppets were beautifully handcrafted and came to life in a very simplistic but realistic form. The dolls were made of latex, silicone, wires, fabrics. Other parts, like the computer generated human-like head, were made of metal, to attached and detached the mouths and eyebrows with magnets to change the facial expressions quickly. The production stopped for the night when the puppets needed a change of clothes for the next scene. 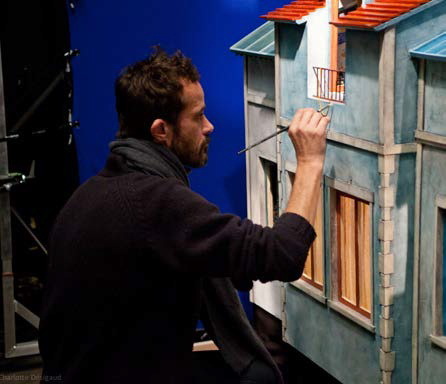 The sets were minimalist, handcrafted and hand-painted by the director and his crew. The stages gave the right atmosphere to the movie, combined with the perfect editing it glides evenly. Without sugar coating, the film draws the spectator into the story right from the begging till the end; it flows smoothly with continuity and a good pace. Pro and non-pro child actors were cast to do the voices of the characters. To communicate the emotions realistically, these young stars were placed in an actual set to perform and interact with each other. They taped the dialogs in action, their voices occasionally overlapping one another purposely. This original animated film is Switzerland’s official Academy Awards entry for the best foreign-language film. 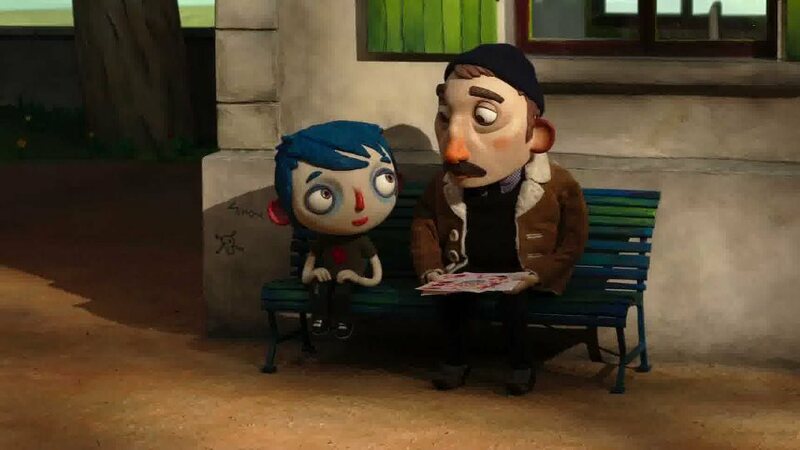 It also qualifies in the category of a best-animated feature, with a high possibility of getting an Oscar nomination in one or maybe in both types. That's why we have to be content with a simple goodbye and the sweetest memories of our good old friends. 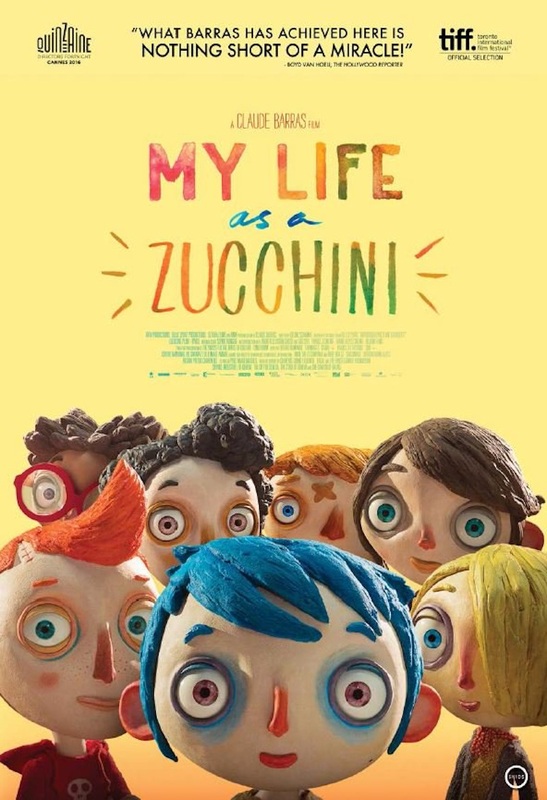 In “Zucchini” the puppeteer created a beautiful story for the little ones where the grown-ups captured plenty of gratification. “My Life as a Zucchini" left my heart with an uneasy feeling along with some sweet and sour emotions confronting. Also, started me thinking about how catastrophic and beautiful life can be. I think it's a very good and inspiring movie. I can't wait to watch this movie. Yes, it's a wonderful movie!!! Wow! This seems to be a good movie. I am sure there is a lot to learn from it. I just finished watching shows by Andy Yeatman with my kids and I can see a huge difference in their behaviour. They are more polite and smart than before. I am very happy to have found this post online as well. I am so glad you liked the review. I am confident than you and your love ones going to enjoy this amazing film. Thanks for reading.